and shipping, click below to shop our bundles! One of the Spanish meanings of “sueno” is “dream” and these cigars are certainly that --a dream. Handmade in Nicaragua, this blend is made especially for King Corona. Consisting of all Nicaraguan long-fillers and binders and topped off with the luxurious flavor of Habano seed wrappers, this is a tremendously flavorful cigar. 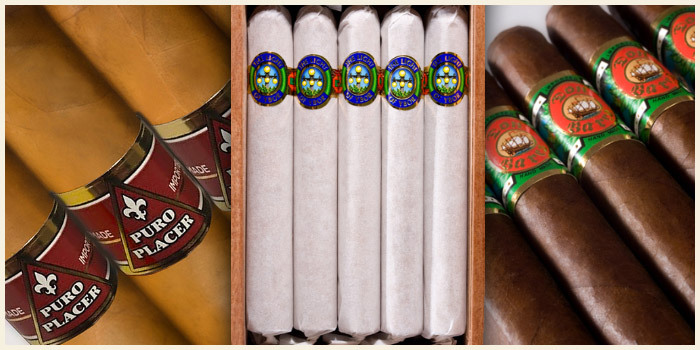 *Bundle price reflects the 15% discount we offer with the purchase of a box or bundle of cigars at King Corona. King Corona’s house-blends are manufactured according to specifications by Cuban experts in Nicaragua who have been growing tobacco and manufacturing cigars in both Nicaragua and Cuba for over 100 years. A very mild smooth cigar. Enjoy!!! My 4th order of these cigars. bought a bundle after trying them in the sample pack. very good cigar & affordable. good chance I'll buy more. Bought a few at the store in Ybor City on a visit. Got back to Ohio and decided I needed some more. These are very well made cigars and burn perfectly. A little spice and leather are most notable. The only drawback I can see is that the wrapper is a bit drier than I prefer. These are great smokes - especially for the budget conscious. Pairs well with a flavorful bourbon like Woodford Reserve. I visited Ybor City inn December 2011 and found King Coroner Cigars and this wonderful everyday cigar. I have been ordering it monthly since my visit. Great everyday smoke. I usually smoke a "Name" 2K but these are great! Please note that our free shipping deal only applies to orders of CIGARS over $70. Anything in your cart that is not a cigar DOES NOT count towards the free shipping offer and the free shipping will only count towards the cigars.